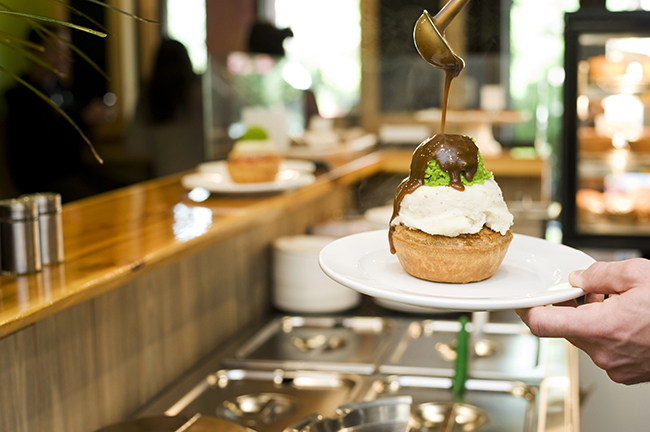 Say hello to Peaked Pies, a new casual eatery coming to 975 Denman Street in the West End. Projected to open at the beginning of August, Peaked Pies will offer a range of authentic Aussie meat pies, along with artisan coffee, and moreish desserts (think sweet pies, ANZAC biscuits, and lamingtons — a square sponge cake coated in chocolate and rolled in coconut). 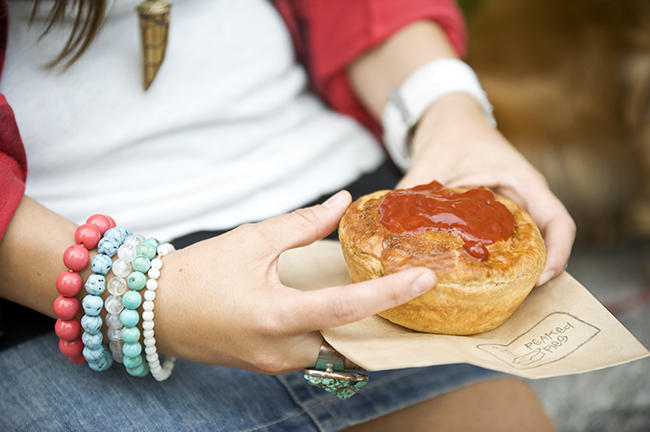 Originally hailing from Whistler, Peaked Pies has made quite a name for itself since opening its doors three years ago, thanks to its steaming hot, freshly baked, handmade, quintessentially Aussie meat pies. Abiding by the saying of “if it ain’t broke, don’t fix it,” owners Kerri Jones (an Aussie pie lover) and Alex Relf (a Canadian chef/baker), plan to replicate the menu found in the Whistler shop. West End diners can, therefore, expect to find classic Aussie meat pie flavours like mince and steak, as well as a variety of specialty flavours like butter chicken, a vegetable medley, and ground kangaroo in a cabernet merlot balsamic reduction. A variety of toppings will also be available for patrons to customize and create their own Peaked Pie, says Jones. Pies can be “peaked” with mashed potato, mushy peas, and/or gravy. Taking over a 1000 square foot space previously tenanted by Money Mart, Peaked Pie’s new Vancouver digs will have indoor seating for around 20 people, and outdoor seating for about 4 to 6 people. For further developments stay tuned to Peak Pies’ social media pages.